Exam stress, work stress, relationship stress or just stress in general, or even without stress, someone who loves playing games doesn’t need a reason to play. All they need is a just a couple of minute which then extend into a few more minutes and a few more hours. And everyone has their favorites, but then there are also some titles no one can be critical about. Took a little while and it was tough but we’ve got the first three right here. Read on to see if your favorite made it to the list. It will be hard to find a gamer or person who has the most tiny bit of interest in games, who hasn’t heard of this title. An action adventure video game series, God of war, swiped away the audience with its debut in the year 2005. A leading title for the PlayStation, the game has grown into seven games across various platforms. That’s is order in which the titles were released but after playing this game over a period of time, gamers devise a personalized order in which they like playing the game. 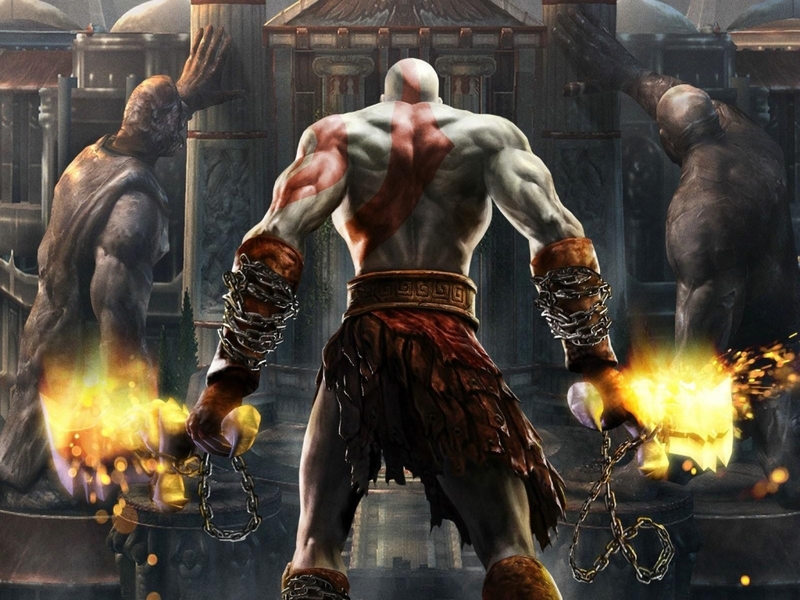 The game is roughly based on a Greek mythology and the protagonist, Kratos, himself has a large fan following. A Spartan warrior who is duped into killing his wife and kid by his own previous master, the God of War Ares, the game revolves around how Kratos takes his revenge. Even after earning his revenge, Kratos is haunted by the nightmares of his past and again betrayed by Zeus, the king of the Olympian Gods. Then follows a series of endeavors to free himself from the influence of the gods and the Titans. Each chapter within the series adds to the central theme of the game, vengeance. This stealth video game series won’t you move away from it until it is over. We’ve been trying to get over since the past few months; still don’t see any hope of the series ending soon. With eight titles under their name and a number of supporting materials, the game became Ubisoft’s best selling title. As of April 2014, the series had sold over 73 million copies and it is pretty evident of how well it has been received by the public and critics as well. The game is an inspiration from the novel, Alamut by the Solvenian writer, Vladimir Bartol. Some of us here even think it is the spiritual successor to the Price of Persia series. The historical fiction action adventure game is available across the platforms of PlayStation 3, PlayStation 4, Xbox 360, Xbox One, Microsoft Windows, Mac OS X, Nintendo DS, PlayStation Portable, PlayStation Vita, iOS, HP webOS, Android, Nokia Symbian Windows Phone platforms, and the Wii U. 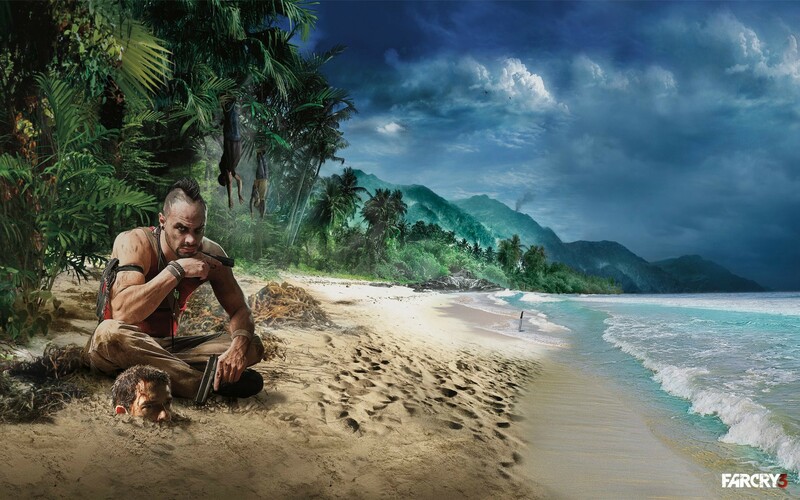 A game developed by Crytek and published by Ubisoft for Microsoft Windows, Far Cry has 730,000 units within four months of its release. The game is a first person shooter game but since the success of the original game, it has been reproduced into a series of sequels and spin-off games. Abandoned on a secretive archipelago, a former US Army Special Forces operative, Jack Carver is on the look out for a female journalist he was escorting. She has been missing since their boat was ruined in an attack by the mercenaries. Through the game, he comes face to face with the negative side of genetic engineering and the genocide of local soldiers. The same soldiers have mutated into deformed creatures that have been created by a mad scientist names Krieger. All through the game, the player goes through a number of terrains. From the simplistic to such complex that you might want to stop and pay attention to it for a minute, through the South Pacific archipelago, the landscape that is inclusive of the beaches, impenetrable rain forests, soaring canyons, dangerous, mines, swamps and even volcanic forests. There are more, with a traditional underground temple and an exquisitely modern scientific lab. The gameplay is made difficult with the use of the remains of Japanese World War II era bunkers and fortifications. There are many benchmarks in the gaming world and we’ve got more coming… Keep watching this space. And while you’re at it, ell us which ones you love the most. We’ll tell them world about them. Internet of Things, IoT, has been doing the rounds since quite sometime now and it seems like something that is here to stay. With a rage of the most amazing ideas, it is tough to find a home, which is not part of this new internet revolution. Knowingly or unknowingly we have all played a part in the becoming of the Internet of Things, so why not know a little about what it is all about? From the dictionary, The Internet of Things is a situation where objects, animals or prople are given their unique identities and are able to transfer data over a network without the need to human-to-human or human-to-computer interaction. Not that it needs to be put down into simpler words, an example never hurt anyone, picture this, your grandmother has chosen to stay alone but you have the responsibility of delivering her medicines to her every 15 days. You have to go all the way from work to her home, check the status of the meds, head out to pick up the medicines, hand them over to her and then you’re so tired that you simply crash into your bed. Now here is where the IoT will sort things out. The medicine bottles will be designed in such a manner that an appointment will be fixed each time the prescription is running low. The doctors will be informed if their parents are taking their medicines on time and patients with persistent problems will not have to visit the doctor time and again. The doctor will monitor something as small as blood pressure and sugar levels remotely. Not really the gist of it all but you do get an idea of how simple life will be once we let our doors open to the world that the internet of things is weaving right now, actually, maybe right this moment there is something amazing being thought of. Don’t keep yourself away from that pool of wonder and let tiny things surprise you. The brain behind the mind blowing, Uncharted series, Amy Hennig doesn’t talk much about her work on Twitter. But if you are one of those curious souls who are full of questions for the celebrity then she is the one you should be following. And not just that Amy is quite popular for her intriguing retweets and video games. Intelligent, bright, social, are just a few words to explain David Jaffe. The creator of God of War and Twister Metal, never feels 140 characters are less for voicing his thoughts on industry related topics. It is tough to find a kid around the block who hasn’t tried his hands out at Minecraft and even more tough to find a game developer who hasn’t heard of Makus Persson. A true Twitterati, he keeps the Minecraft community engaged, answers queries and even doesn’t hesitate from talk about coding. The Metal Gear Solid creator is less interested in talking shop on his Twitter account than he is snapping culinary delicacies and posting pictures of Spider-Man pants. His enthusiasm is infectious to say the least, but we do wish he’d tease a bit more about what he is up to next! Though not very active on Twitter currently, Jack is followed by many for the programming tips he shares. And how can a list of must follows miss out on the man behind the architecture of Twitter. The ability to take risks. The patience to wait for the results. The perseverance to keep on going even after failed attempts. The confidence to realize your dreams. To stay motivated through thick and thin. And finally bask in the gory of your success. Maybe that is a little something that it takes to become part of a legacy. This piece comes as a dedication to the highly efficient Indian scientists who helped the country become the first to be successful in sending a mission to Mars in its first attempt. Downtown is something of a luxury when you have a task to achieve, and each time the weekend arrives before you know it you have a list of jobs assigned for more than those two days. When months like these finally break you down, a visit to the office is refreshing. Silence speaking and the vision board peeking, the series starts of thinking and self-motivation. With so much to achieve and half way through, resting down and looking back is totally out of question. So, there comes the first day of the week, Monday. You’re motivated and glad, you’ve thought your ideas the right way, you’re all prepared to set the dice rolling and suddenly you realize, there is nobody listening to you. Avoiding to name the person who faced this, but it happened. And though a couple of months back it would have sounded like an amateur talking but now, it can be definitely said with confidence, ‘been there, done that’. You buy a new phone and among the first few games that you think of downloading in our phone is Fruit Ninja or Jetpack Joyride. You hear the name, Halfbrick, and you know the talk is about a gaming studio whose games you’re in love with. But did you also know that the studio had been working since the year 2004, around eight years before the release of Fruit Ninja. Shocking, though this might sound but it took a number of unsuccessful games to develop a game like Fruit Ninja. But with the aim clear, all it took was a team of three and six weeks to reach the first version of this game. And since then there has been no looking back for them. A studio that was once looking at a very bleak future, learned from its mistakes and worked on each of them and the result that turned out was a game with over 300 million downloads. Just an innovative and the right path turned a bleak future into a bright one. You’ve heard of them and you know what exactly is being referred to here and you’ve got that smile on. But did you also know that before the makers of Temple Run came up with this idea, they had already been running since quite some time. Established in the year 2008, Imangi Studios was the idea of Keith Shepherd and Natalia Luckyanova, then friends and now happily married. 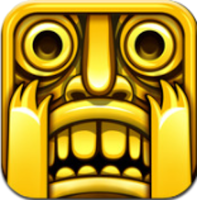 Since 2008, it took the setback of eight games to develop the super duper hit Temple Run. From the kids around the block to the teenager in the train to the 60 year old waiting at the doctors’, this is one game that can be found in almost every smartphone. And in the phones where you won’t find it, well, re check, it might not be available for it. Does the name ring any bells? No? How about Flappy Bird? Now, that is a name anyone would recognize. This is one story that is more than enough to understand the power of believing in you. A creation whose development was handled alone by Dong Nguyen, the $50,000 a day made it one of the most popular smartphone game. A game that went unnoticed for the initials months in the application market, took to such a high surge overnight that at a certain point too much for Nguyen. 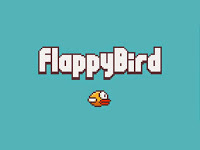 The game faced a number of complaints in regard to its difficulty, addictiveness and even resemblance to a famous game. Even with the game turning into an overnight celebrity, the developer took the game off app stores in mid February 2014. There has been speculation since then that a sequel to the same title is being developed. It is also being said that the next version will be a lot easier and less addictive. With Flappy Bird keeping all of us glued to our screens, the sequel is much awaited. This is a company that went through 51 setbacks before releasing the blockbuster, Angry Birds. 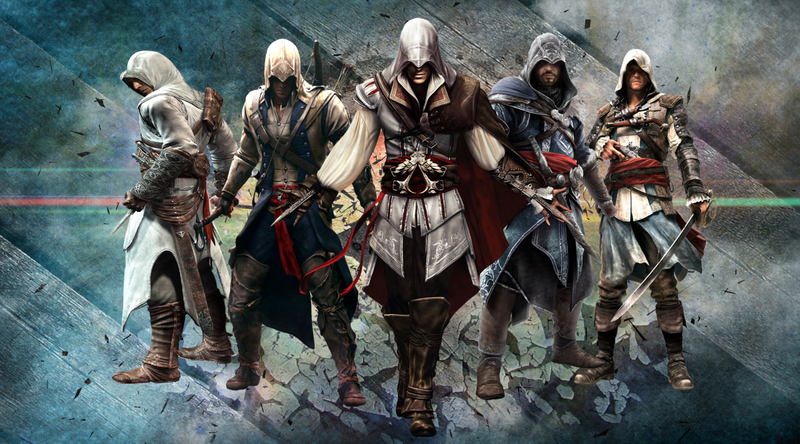 This franchise is currently the most successful game for smartphones all across the globe. But as you see, success to Rovio didn’t come easy. And only through the holdups did the secret to success was learnt. 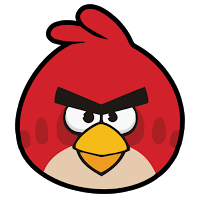 Rovio’s strategy to become the top developer was just a simple word- diversify. From apparel to boos, to educational tools and what not, there wasn’t anywhere that Angry Birds could be missed. And what more, they are looking out to do the same for Hello Kitty. After months of hard work, making decisions, running from pillar to post, interviewing people and finally getting to work, a feeling like fatigue started to set in. But it was well known fact that there was no time for fatigue. Over and over again the same thinking kept running through our brains that we had to get BIG. Well.. We almost did. It so happens that during the development of each game, we have thorough brainstorming session. We, our team, and the ideas, we all come together and try to get the most innovative idea. It was through one of those discussions where the tiny aspects of the plan were formed. The best part was that it struck an interest in one and all present in that room. Right from the net moment each of us started discussing our individual roles. We knew the idea couldn’t be brushed off as a bad one because it was truly innovative. But the foremost question that had to answer was how long would it take to be developed? A game of that level, it was an estimate of a minimum of two months. After fixing up of the last minute glitches and bringing it to perfection, a maximum of two and a half months. And that was where all we could do was smile the ‘sorry’ smile. Being the super smart team that they are, it didn’t take a minute for each of them to understand. Shrugging off the idea as being a lot at the moment, they themselves started sprouting new ideas. So, it was forgotten. The innovative idea was buried away as time was eventually becoming a constraint for us. People had started asking question and not great but something was expected from us. Eight months down the line, this moment of not being able to take the risk is still haunting. For not just one reason but primarily because just a couple of months back, we happen to come across a game that had been climbing the popularity ladder. We download it, each of us. But unfortunately it doesn’t spark an interest in anyone. Reason, there it was. The idea that was discussed in the same room, with the same people, just a couple of months. It took a minute for everyone to realize that but once that happened, we discussed our loss, claimed that we could have done such a better job, smiled and went back to our respective jobs. The regret of not being able to take a risk will be hard to forget. They say business is all about taking risks, they also say it might turn out to be a boon or a bane. They never tell anyone, how it is like to see someone take the same risk as you and succeed. As they say, at some point of time in life, it is important to take a leap of faith. Each time you hear the word start-up what are the first few words that pop into your brain? For starters, opportunity, learning, responsibility, innovation also coupled with risk, discomfort, inadequate resources, long hours. So when it came for us to start forming a team and getting to work, instead of the confusion clouding us it shouted out from our candidates’ faces. For the first couple of weeks, we were enticing applicants to join us and were still unable to get them. Before it turned into a mix of fright, desperation and frustration, the realization dawned in that patience was the most imperative part we promised. After a series of unsuccessful interviews, broken promises, we finally found someone who was ready to work with us, happy and satisfied. And that one employee seemed like a blessing because the same day we had another one of our openings closed. With another two people on board, there was no turning back. It so happened on one of those dull days over a cup of hot tea, our inception. A strong bolt of lightning set off our minds on a new dimension. Be it travelling in a metro, waiting at the doctors, downtime at work, hanging around some coffee shop, or even on the wedding day; it’s never difficult to find people glued to their Smartphone, playing some game. And trust us we all have really witnessed this. Be it Candy Crush Saga or the new craze- Minecraft, you can see it on almost every screen that you secretly peep into. From a baby trying to learn the basics of phonetics to his grandparents, who require reminders for their medicines, technology has seeped into every nook and cranny of our lives. And just before our idea was trashed away on the pretext of non-feasibility, the news rolled up that the developer of the simplest game, Temple Run, was making oodles of money PER DAY! Well, let’s admit it; money is what drives the world. And there’s another honest confession sir, it’s you from whom we derive our inspiration. So that‘s how the entire process of planning, researching, more planning, consultation and finally setting up kicked off; albeit, taking decisions in the initial days was a little tough. Believe it or not, however smart you feel during your college time, it all boils down to zero when the realities hit you hard on face. Bags of responsibilities weigh down the young shoulders when someone invests money with you and put in tons of faith in you. Creeping slowly and steadily towards the apogee, our team of two is now almost ten. It’s all because of you and your unwavering belief in us that we look forward to reach the pinnacle of success. Signing off for now as there is a super important task ahead that demands immediate attention. Will be back soon.